This weekend, American rider Katie Compton dusted the field to win the 2018 national cyclocross championships. It was a dominant performance; she overtook hotshot young rider Ellen Noble on a gutsy descent during the first lap, and was then unseen for the remainder of her almost one hour out on the course. She won by over two minutes, and only five riders finished within six minutes of her. The asskicking was notable, but also, by now, routine. 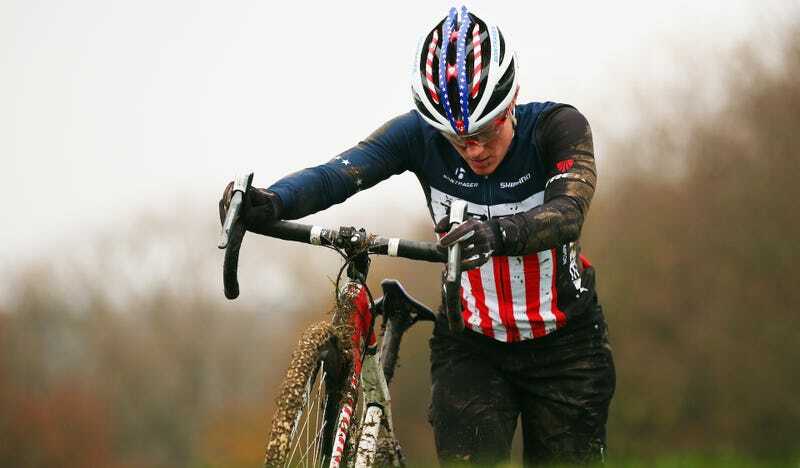 This is now Compton’s 15th consecutive cyclocross national championship. She started winning them when she was 25. Now, she’s 40 and she still hasn’t lost the streak. This has easily been the most difficult season of Compton’s career, as she’s struggled with severe allergies that have limited her breathing and a nasty stomach bug. None of it mattered on Saturday in Louisville. She was perfect. To put Compton’s streak in perspective, her streak of 15 straight national titles is longer than every single men’s or women’s title streak at any level in any NCAA sport, save for an impressive run by the D-III Kenyon swimming and diving team in the ‘80s and ‘90s. A multi-year run of any length would be impressive in cyclocross, since the sport is so demanding, and any one moment can bring an unforgiving end to an otherwise perfect race. It’s a physically unforgiving sport that requires near-perfection, bravery, and ruthlessness. Compton has finished second at the world championships four times, so she knows how hard it is to win any race. Compton said she’ll go for 16 in Tacoma next year, and she’ll probably be the favorite. Someday, the streak will end, but no rider will ever equal it.